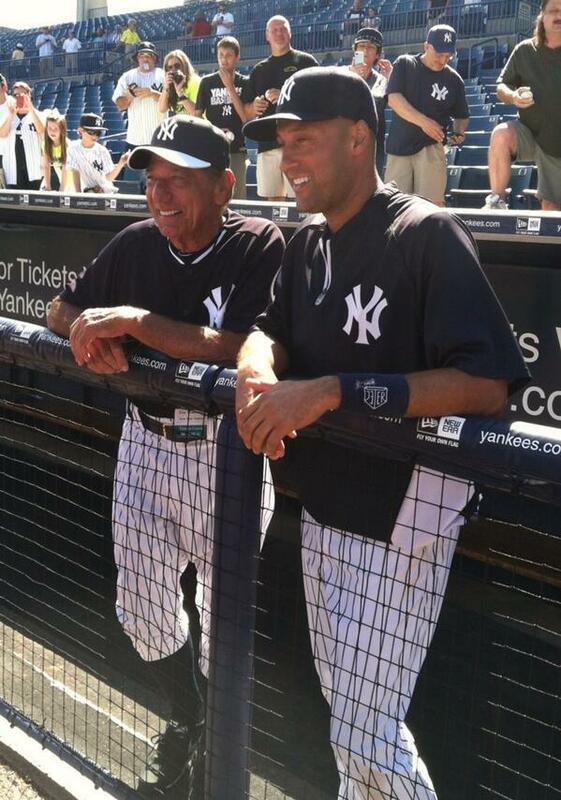 “Broadway Joe” made a visit to Tampa this afternoon to serve as “Co-Manager” for a Yankees spring training game. Although I seriously doubt Namath will be making the line up card, it is cool to see him and Derek Jeter spending time together. Very few people are able to understand what Jeter’s life has been like since joining the Yankees, but Joe Namath is one of them. “He’s special,” he said. “Some of the things in life that athletes or people in the public eye go through, I can relate to a bit. But his career and where he’s been, what he’s done, I can’t relate to all that. No, man.” He’s right, although they have gone through similar experiences, even Namath was unable to keep himself in check from time-to-time, letting the city get the best of him. Both have had their share of success in NY, on and off the field. I know Namath was on hand to do a joint interview with Jeter for Yankees Magazine, but I would love to hear what these two talk about off the record. Who wouldn’t want to hear a conversation as they discuss their conquests of ladies? Each have had their pick of the litter and surely have a HOF Rolodex in their little black books. There is strong possibility that topic never comes up, but I know that’s the one most people would want to hear, whether they admit it or not. I’m sure Jeter will be visited by many icons throughout the season, hopefully he is able to enjoy these experiences, while keeping his primary focus on having one last championship season.